"Tradional Barbershop with Family Values"
Paul's Barbershop has been serving the people of Raleigh, and those whom visit or just passing through. 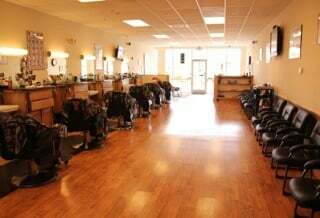 We are a traditional Barbershop that offer great haircuts, razor lines, & Hot towel razor shaves. Multiple T.V's for your viewing pleasure, and wifi while you wait or recieive service. Click for follow up Appt. w/ Paul E.
Tuesday : 8 a.m. - 6 p.m.
Wednesday : 8 a.m. - 6p.m. Thursday : 8 a.m. - 6 p.m.
Friday : 8 a.m. - 6 p.m.
Saturday : 6 a.m. - 3 p.m.